By now, most people are well aware that the gastrointestinal system is full of bacteria, and that a healthy balance of this bacteria is necessary for normal digestion. But this isn't the only area of the body affected by bacteria. For women, maintaining a healthy bacterial balance is also important for proper vaginal health. Fortunately, there's a natural way for women to get the unique support they need. 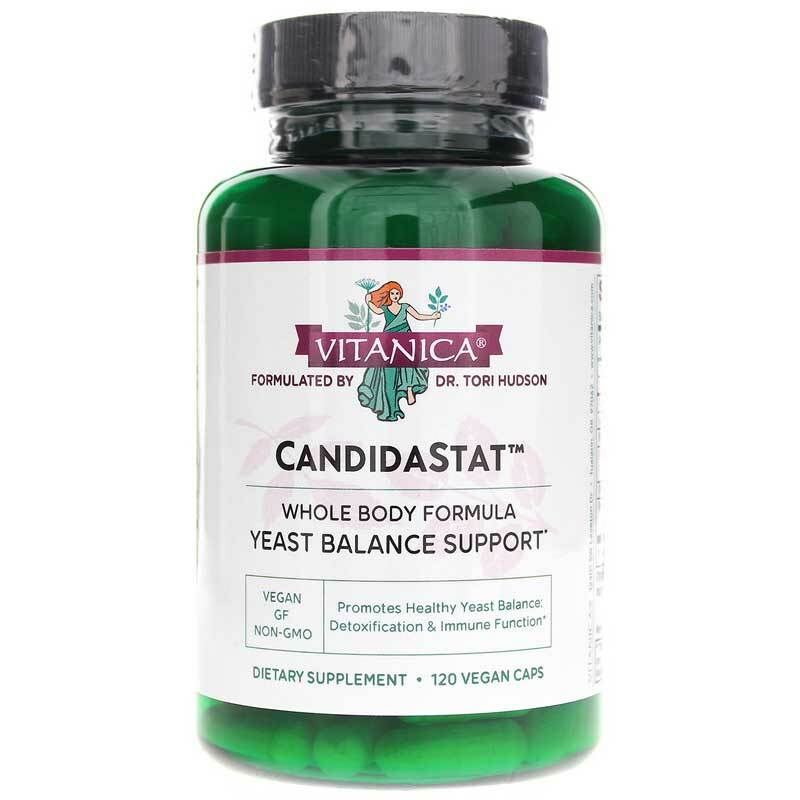 CandidaStat from Vitanica is a dietary supplement featuring select herbs and nutrients to support the maintenance of friendly flora and a healthy yeast balance in the body. Formulated by Dr. Tori Hudson, a naturopathic physician specializing in women's natural health, CandidaStat provides natural nutritional and herbal support. 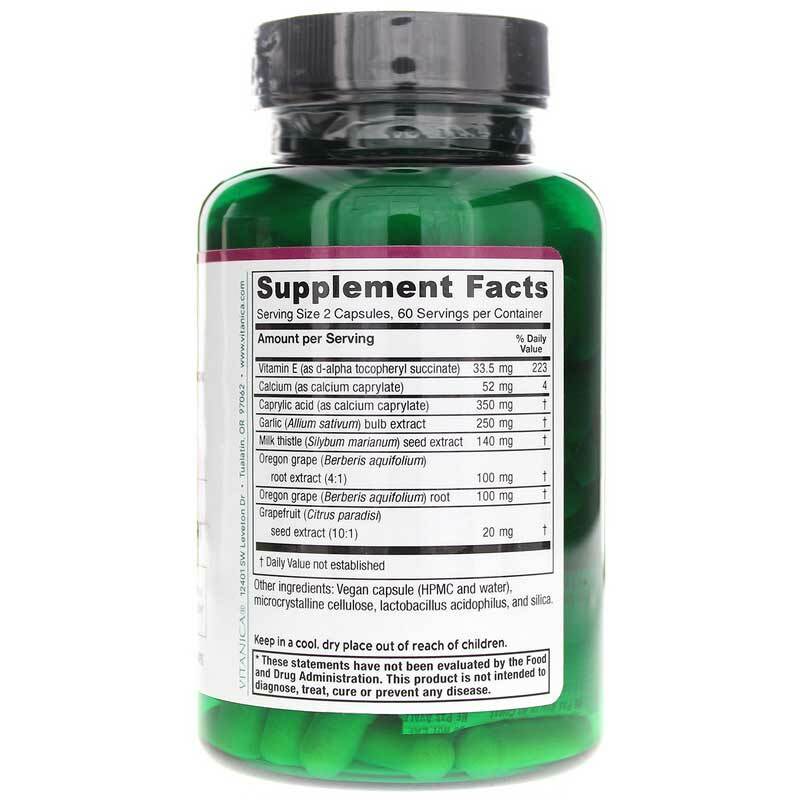 Ingredients like garlic extract and grapefruit seed extract help to maintain normal bacteria levels, while milk thistle seed extract and Oregon grape root provide antioxidant support as well as support for maintaining a healthy internal response. And for purity, this formulation is free of preservatives, binders, artificial coloring or flavorings, sugars, starch, lactose, salt, wheat, gluten, milk derivatives, eggs, peanuts, tree nuts, fish and shellfish. Other Ingredients: vegetable capsule (HPMC and water), cellulose, lactobacillus acidophilus and silicon dioxide. Contains NO: preservatives, binders, artificial colorings or flavorings, sugars, starch, lactose, salt, wheat, gluten, milk derivatives, eggs, peanuts, tree nuts, fish or shellfish. 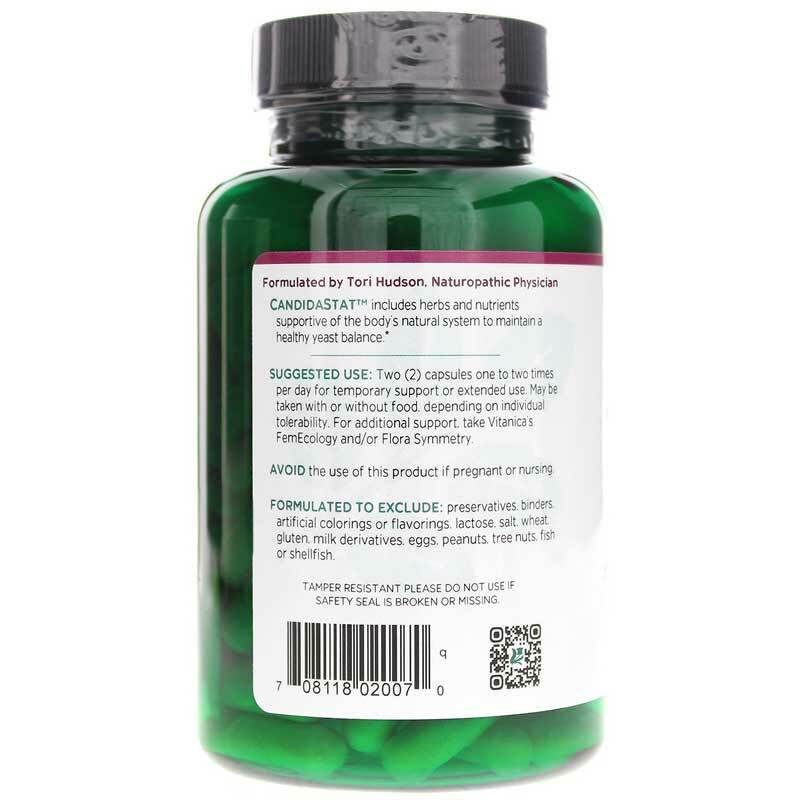 Adults: 2 capsules one to two times per day for temporary support or extended use. For additional support, take Vitanicas FemEcology.